This news release contains “forward-looking information and statements” within the meaning of applicable securities laws. For a full disclosure of the forward-looking information and statements and the risks to which they are subject, see the “Cautionary Statement Regarding Forward-Looking Information and Statements” later in this news release. This news release contains references to Adjusted EBITDA, Covenant EBITDA, Operating Earnings (Loss), Funds Provided by (Used in) Operations and Working Capital. These terms do not have standardized meanings prescribed under International Financial Reporting Standards (IFRS) and may not be comparable to similar measures used by other companies, see “Non-GAAP Measures” later in this news release. Second quarter revenue of $331 million was an increase of 14% over the prior year comparative quarter. Second quarter net loss of $47 million ($0.16 per share) compares to a net loss of $36 million ($0.12 per share) in the second quarter of 2017. Second quarter earnings before income taxes, loss on repurchase and redemption of unsecured senior notes, finance charges, foreign exchange and depreciation and amortization (adjusted EBITDA see “NON-GAAP MEASURES”) of $62 million was 10% higher than the second quarter of 2017. Funds provided by operations (see “NON-GAAP MEASURES”) in the second quarter of $50 million versus funds used in operations of $15 million in the prior year comparative quarter. Second quarter ending cash balance was $95 million. Second quarter capital expenditures were $37 million. “Our updated 2018 capital plan is approximately $135 million. The $19 million increase from our previous update includes spending for our newbuild award in Kuwait, completion of a newbuild in the U.S., foreign exchange impact from a weaker Canadian dollar, and a minor increase in upgrade capital spending. With $95 million of cash on the balance sheet coupled with cash flow in the second half of the year I fully expect to fund growth and upgrade opportunities while reserving capacity to retire more of our debt,” concluded Mr. Neveu. (1) Prior year comparatives have changed to reflect a recast of certain amounts previously netted against operating expense. See our 2017 Annual Report. (2) Includes lump sum revenue from contract shortfall for the six months ended June 30, 2018 and prior year comparatives. (3) 2017 comparative periods include revenue from idle but contracted rig days. Revenue this quarter was $331 million which is 14% higher than the second quarter of 2017. The increase in revenue is primarily the result of higher activity in our U.S. contract drilling business. Compared with the second quarter of 2017 our activity for the quarter, as measured by drilling rig utilization days, respectively increased 24% and 7% in the U.S. and Canada, respectively, and remained consistent internationally. Revenue from our Contract Drilling Services segment increased over the comparative prior year period by 16% while revenue in our Completion and Production Services segment was down 6%. Adjusted EBITDA (see “NON-GAAP MEASURES”) this quarter of $62 million is an increase of $6 million from the second quarter of 2017. Our adjusted EBITDA as a percentage of revenue was 19% this quarter in-line with the comparative quarter of 2017. Adjusted EBITDA this quarter was positively impacted by higher activity and day rates in the U.S. offset by higher share-based incentive compensation from an increase in the Corporation’s share price versus the comparative prior year. Total share-based incentive compensation expensed in the quarter was $10 million compared to a recovery of $3 million in the second quarter of 2017. See discussion on share-based incentive compensation under “Other Items” later in this report for additional details. Operating loss (see “NON-GAAP MEASURES”) this quarter was $26 million compared with an operating loss of $39 million in the second quarter of 2017. Operating results this quarter were positively impacted by the increase in activity in our U.S. contract drilling business and lower depreciation expense. General and administrative expenses this quarter were $32 million, $12 million higher than the second quarter of 2017. The increase is due to higher share-based incentive compensation expense tied to the price of our common shares partially offset by a strengthening of the Canadian dollar on our U.S. dollar denominated costs. Net finance charges were $32 million, a decrease of $2 million compared with the second quarter of 2017, primarily due to a reduction in interest expense related to debt retired in 2017, the impact of the strengthening of the Canadian dollar on our U.S. dollar denominated costs and higher interest income in the current quarter. During the quarter we redeemed US$50 million, and repurchased and cancelled US$8 million of our previously outstanding unsecured senior notes incurring a loss of $1 million. In Canada, average revenue per utilization day for contract drilling rigs was $22,072 in the second quarter compared to $22,177 in the second quarter of 2017. Overall, shortfall payments received in the prior year comparative quarter and a greater number of rigs on long-term contracts at legacy pricing were largely offset by higher spot market day rates in the current quarter. During the quarter, we did not recognize any shortfall payments in revenue compared with $4 million in the prior year comparative period. Excluding the impact of shortfall payment revenue, average day rates were up 7%. In the U.S., revenue per utilization day increased in the second quarter of 2018 to US$21,795 from US$19,826 in the prior year second quarter. The increase in the U.S. revenue rate was the result of higher spot market day rates and higher turnkey revenue offset by lower revenue from idle but contracted rigs and lower mobilization revenue. During the quarter, we had turnkey revenue of US$10 million compared with US$5 million in the 2017 comparative period and no revenue from idle but contracted rigs in the current quarter versus US$2 million in the comparative period. On a sequential basis, revenue per utilization day excluding revenue from idle but contracted rigs increased by US$1,192 due to higher fleet average day rates and higher turnkey revenue when compared to the first quarter of 2018. Average operating costs per utilization day for drilling rigs in Canada increased to $16,712 compared with the prior year second quarter of $16,368. The increase in average costs was due to larger average crew formations with increased pad rig activity in the quarter. On a sequential basis, operating costs per day increased by $3,381 compared to the first quarter of 2018 due to lower fixed cost absorption from lower activity with spring break-up. In the U.S., operating costs for the quarter on a per day basis decreased to US$14,026 in 2018 compared with US$14,248 in 2017 due to lower lump sum move costs and fixed costs spread over a greater number of utilization days partially offset by increased turnkey activity. On a sequential basis, operating costs per day remain consistent with the first quarter of 2018. We realized revenue from international contract drilling of US$36 million in the second quarter of 2018, in-line with the prior year period. Average revenue per utilization day in our international contract drilling business was US$49,832, consistent with the comparable prior year quarter. Directional drilling services realized revenue of $7 million in the second quarter of 2018 compared with $12 million in the prior year period. Funds provided by operations (see “NON-GAAP MEASURES”) in the second quarter of 2018 were $50 million, an increase of $65 million from the prior year comparative quarter of funds used in operations of $15 million. The increase was primarily the result of improved operating results, a $28 million tax refund received in the quarter and the timing of interest paid. Capital expenditures were $37 million in the second quarter, an increase of $8 million over the same period in 2017. Capital spending for the quarter included $21 million for upgrade and expansion capital, $13 million for the maintenance of existing assets and infrastructure spending and $3 million for intangibles related to a new ERP system. Revenue for the first half of 2018 was $732 million, an increase of 11% from the 2017 period. Operating loss (see “NON-GAAP MEASURES”) was $16 million, a decrease of $36 million over the same period in 2017. Operating loss was 2% of revenue in 2018 compared with 8% of revenue in 2017. Operating results this year were positively impacted by increased activity in our North American businesses. General and administrative costs were $61 million, an increase of $16 million from 2017. The increase was due to higher share-based incentive compensation that is tied to the price of our common shares (see “Other Items” later in this report) partially offset by the strengthening of the Canadian dollar on our U.S. dollar denominated costs. Net finance charges were $64 million, a decrease of $4 million from 2017 primarily due to a reduction in interest expense related to debt retired in 2017 and the effect of a stronger Canadian dollar on our U.S. dollar denominated interest expense partially offset by higher interest income earned in the comparative period. Funds provided by operations (see “NON-GAAP MEASURES”) in the first half of 2018 were $154 million, an increase of $84 million from the prior year comparative period of $70 million. Capital expenditures for the purchase of property, plant and equipment were $67 million for the first half of 2018, an increase of $16 million over the same period in 2017. Capital spending for 2018 to date includes $33 million for upgrade and expansion capital, $23 million for the maintenance of existing assets and infrastructure and $10 million for intangibles related to a new ERP system. Reduce debt by generating free cash flow while continuing to fund only the most attractive investment opportunities – we generated $154 million in funds provided by operations (see “NON-GAAP MEASURES”) in the first half of 2018, representing an $84 million increase over the prior year comparative period. Utilizing cash generated in the second quarter, we reduced debt by $75 million through a partial redemption of our 2021 unsecured senior notes and open market debt repurchases of our 2021 and 2024 notes. We communicated a firm goal to reduce debt by $75 to $125 million in 2018 and have successfully achieved the low end of that range in the first half of this year. In addition, we ended the second quarter with $95 million of cash on the balance sheet. Reinforce Precision’s High Performance competitive advantage by deploying Process Automation Controls (PAC), Directional Guidance Systems (DGS) and Drilling Performance Apps (Apps) on a wide scale basis – year to date in 2018 we have drilled over 70 wells using our DGS compared to 58 wells in all of 2017. In addition, approximately 60% of these jobs used a reduced crew compared to only 30% in 2017. We have 21 rigs currently running in the field with PAC and have drilled approximately 230 wells with this technology in 2018 compared to 154 in all of 2017. Earlier this year we also equipped our training rigs in Nisku and Houston with PAC technology. Customer adoption is rising, and we expect to be running a total of 31 systems by year end, continuing full scale deployment and commercialization. Additionally, we are deploying revenue generating Apps on several rigs and currently have 12 Apps in varying stages of commercial development showcasing the open platform of our PAC system. Several Apps are customer-built and supported by Precision’s PAC platform with specific hosting agreements in place. Enhance financial performance through higher utilization and improved operating margins – in the first half of 2018 overall utilization days are 13% higher than the prior year comparative period while average operating margins (revenue less operating costs) are up 32%, 12% and 4% in our U.S., international and Canada contract drilling businesses, respectively. For the second quarter of 2018, the average West Texas Intermediate price of oil was 41% higher than the prior year comparative period while the average Henry Hub gas price was 3% lower and the average AECO price was 55% lower. Year to date in 2018 we have entered into 38 term contracts. The following chart outlines the average number of drilling rigs by quarter that we had under contract for 2017, the first two quarters of 2018 and the average number of drilling rigs by quarter we have under contract for 2018 as of July 25, 2018. The following chart outlines the average number of drilling rigs that we had under contract for 2017 and the average number of rigs we have under contract for 2018 as of July 25, 2018. For the first half of 2018, drilling activity has increased relative to this time last year in the U.S. and is down slightly in Canada. According to industry sources, as of July 20, 2018, the U.S. active land drilling rig count was up approximately 11% from the same point last year and the Canadian active land drilling rig count was down approximately 2%. To date in 2018, approximately 63% of the Canadian industry’s active rigs and 81% of the U.S. industry’s active rigs were drilling for oil targets, compared with 53% for Canada and 80% for the U.S. at the same time last year. We expect Tier 1 rigs to remain the preferred rigs of customers globally. The economic value created by the significant drilling and mobility efficiencies delivered by the most advanced XY pad walking rigs has been highlighted and widely accepted by our customers. The trend to longer-reach horizontal completions and importance of the rig delivering these complex wells consistently and efficiently has been well established by the industry. We expect demand for leading edge high efficiency Tier 1 rigs will continue to strengthen, as drilling rig capability has been a key economic facilitator of horizontal/unconventional resource exploitation. Development and field application of drilling equipment process automation coupled with closed loop drilling controls and de-manning of rigs will continue this technical evolution while creating further cost efficiencies and performance value for customers. Capital spending in 2018 is expected to be $135 million and includes $57 million for sustaining and infrastructure, $63 million for upgrade and expansion and $15 million on intangibles related to a new ERP system. 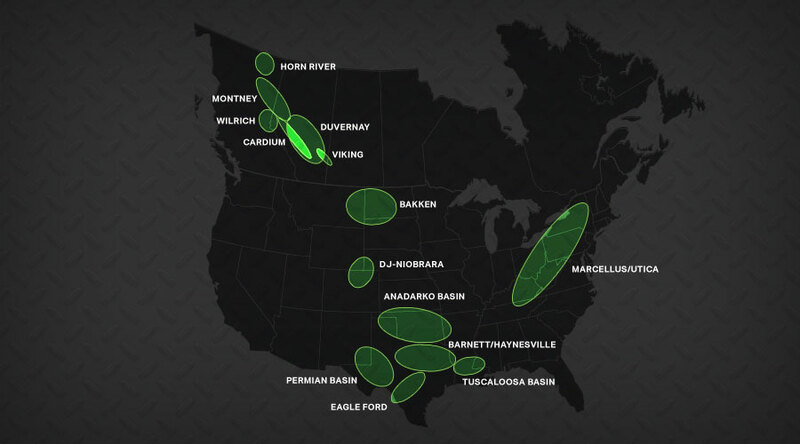 We expect that the $135 million will be split $113 million in the Contract Drilling Services segment, $6 million in the Completion and Production Services segment and $16 million to the Corporate segment. Precision’s operations are reported in two segments: Contract Drilling Services, which includes the drilling rig, directional drilling, oilfield supply and manufacturing divisions; and Completion and Production Services, which includes the service rig, snubbing, rental, camp and catering and wastewater treatment divisions. (2) Canadian Association of Oilwell Drilling Contractors (“CAODC”), and Precision – excludes non-CAODC rigs and non-reporting CAODC members. Revenue from Contract Drilling Services was $304 million this quarter, or 16% higher than the second quarter of 2017, while adjusted EBITDA increased by 24% to $83 million. The increase in revenue was primarily due to higher utilization days in the United States. During the quarter we did not recognize any shortfall payments in our Canadian contract drilling business compared with $4 million in the prior year comparative period. In the U.S. we recognized turnkey revenue of US$10 million compared with US$5 million in the comparative period and we did not recognize any idle but contracted revenue compared with US$2 million in the comparative quarter of 2017. Drilling rig utilization days in Canada (drilling days plus move days) were 2,834 during the second quarter of 2018, an increase of 7% compared to 2017 primarily due to increased Deep Basin activity with several customers working pad rigs through spring break-up. Drilling rig utilization days in the U.S. were 6,588, or 24% higher than the same quarter of 2017 as our U.S. activity was up with higher industry activity. Drilling rig utilization days in our international business were 728, in-line with the same quarter of 2017. Compared with the same quarter in 2017, drilling rig revenue per utilization day in Canada was in-line with last year as increases in spot market rates in the current quarter offset lower shortfall revenue and a higher number of rigs under long-term contract in the prior period. Drilling rig revenue per utilization day for the quarter in the U.S. was up 10% compared to prior year as higher average day rates and higher turnkey revenue were partially offset by lower lump sum move revenue and lower idle but contract revenue. International revenue per utilization day was in-line with the prior year comparative period. In Canada, 8% of our utilization days in the quarter were generated from rigs under term contract, compared with 31% in the second quarter of 2017. In the U.S., 67% of utilization days were generated from rigs under term contract as compared with 57% in the second quarter of 2017. Operating costs were 69% of revenue for the quarter which was two percentage points lower than the prior year period. On a per utilization day basis, operating costs for the drilling rig division in Canada were slightly higher than the prior year period primarily driven by larger average crew sizes associated with increased pad rig activity in the quarter. In the U.S., operating costs for the quarter on a per day basis were slightly lower than the prior year period primarily due to higher lump sum move costs in the prior period and the impact of fixed costs spread over higher activity partially offset by higher costs associated with turnkey activity. Depreciation expense in the quarter was 6% lower than in the second quarter of 2017. The decrease in depreciation expense was primarily due to the strengthening of the Canadian dollar on our U.S. dollar denominated costs and a lower capital asset base as assets become fully depreciated. Revenue from Completion and Production Services was down $2 million or 6% compared with the second quarter of 2017 due to lower activity in our Canadian well servicing and rental businesses partially offset by higher camp activity. Our service rig operating hours in the quarter were down 6% from the second quarter of 2017 while rates increased an average of 7%. 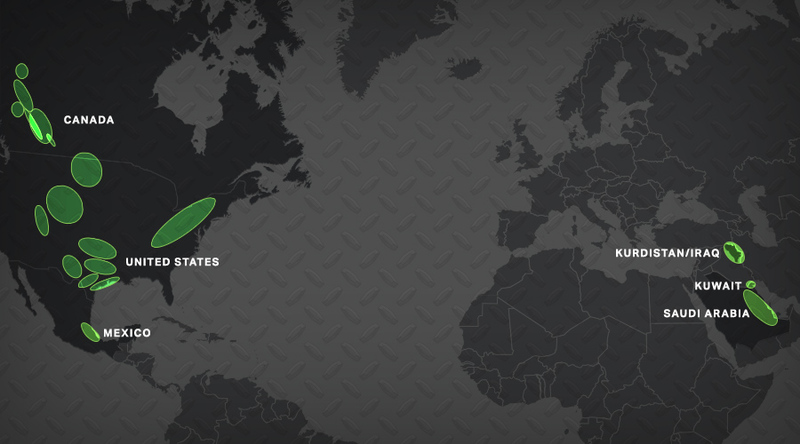 Approximately 98% of our second quarter Canadian service rig activity was oil related. During the quarter, Completion and Production Services generated 88% of its revenue from Canadian operations and 12% from U.S. operations compared with the second quarter of 2017 where 86% of revenue was generated in Canada and 14% in the U.S.
Average service rig revenue per operating hour in the quarter was $676 or $47 higher than the second quarter of 2017. The increase was primarily the result of increased costs passed through to the customer. Adjusted EBITDA was lower than the second quarter of 2017 primarily due to reorganization costs of $1 million incurred in the current quarter. Operating costs as a percentage of revenue was 97% compared with the prior year comparative quarter of 93%. Depreciation in the quarter was $2 million lower than the prior year comparative period. The lower depreciation is due to a lower asset base as assets become fully depreciated. Our Corporate and Other segment provides support functions to our operating segments. The Corporate and Other segment had an adjusted EBITDA loss of $20 million, a $9 million increase compared with the second quarter of 2017 primarily due to higher share-based incentive compensation. We also have two equity-settled share-based incentive plans. Under the Executive Performance Share plan, which commenced in May 2017, the fair value of the PSUs granted is calculated at the date of grant using a Monte Carlo simulation, and that value is recorded as compensation expense over the grant's vesting period with an offset to contributed surplus. Upon redemption of the PSUs into common shares, the associated amount is reclassified from contributed surplus to shareholders' capital. The share option plan is treated similarly, except that the fair value of the share purchased options granted are valued using the Black-Scholes option pricing model and consideration paid by employees upon exercise of the equity purchase options are recognized in share capital. Cash settled shared-based compensation expense increased $12 million in the current quarter to $8 million compared to a recovery of $4 million in the same quarter in 2017. The increase is primarily due to the increasing share price experienced in the current quarter compared to a declining share price in the comparative 2017 period. Net financial charges for the quarter were $32 million, a decrease of $2 million compared with the second quarter of 2017 primarily because of a stronger Canadian dollar on our U.S. dollar denominated interest expense, reduction in interest expense related to debt retired in 2017 and higher interest income in the current period. During the quarter we redeemed US$50 million of our 6.5% unsecured senior notes due 2021 and repurchased and cancelled US$3 million principal amount of our 2021 notes and US$5 million principal amount of our 2024 notes incurring a net loss of $1 million. Income tax expense for the quarter was a recovery of $13 million compared with a recovery of $37 million in the same quarter in 2017. The recoveries are due to negative pretax earnings. (1) Increases to US$300 million at the end of the covenant relief period of March 31, 2019. As at June 30, 2018, we had $1,762 million outstanding under our unsecured senior notes. The current blended cash interest cost of our debt is approximately 6.6%. Following is a listing of our currently applicable financial covenants and the calculations as at June 30, 2018. At June 30, 2018, we were in compliance with the covenants of our senior credit facility and unsecured senior notes. The senior credit facility requires that we comply with certain covenants including a leverage ratio of consolidated senior debt to consolidated Covenant EBITDA (see “NON-GAAP MEASURES”) of less than 2.5:1. For purposes of calculating the leverage ratio consolidated senior debt only includes secured indebtedness. Under the senior credit facility, we are required to maintain a ratio of consolidated Covenant EBITDA to consolidated interest expense for the most recent four consecutive quarters, of greater than 2.0:1 for the periods ending June 30, September 30, and December 31, 2018 and March 31, 2019. For periods ending after March 31, 2019 the ratio reverts to 2.5:1. The senior credit facility prevents us from making distributions prior to April 1, 2019, after which, distributions are subject to a pro forma consolidated senior net leverage covenant of less than or equal to 1.75:1. The senior credit facility also limits the redemption and repurchase of junior debt subject to a pro forma consolidated senior net leverage covenant ratio of less than or equal to 1.75:1. The senior notes require that we comply with financial covenants including an incurrence based consolidated interest coverage ratio test of consolidated cash flow, as defined in the senior note agreements, to consolidated interest expense of greater than 2.0:1 for the most recent four consecutive fiscal quarters. In the event that our consolidated interest coverage ratio is less than 2.0:1 for the most recent four consecutive fiscal quarters the senior notes restrict our ability to incur additional indebtedness. The senior notes contain a restricted payments covenant that limits our ability to make payments in the nature of dividends, distributions and for repurchases from shareholders. This restricted payment basket grows from a starting point of October 1, 2010 for the 2021 and 2024 senior notes, from October 1, 2016 for the 2023 senior notes and October 1, 2017 for the 2026 senior notes by, among other things, 50% of consolidated cumulative net earnings and decreases by 100% of consolidated cumulative net losses, as defined in the note agreements, and payments made to shareholders. Beginning with the December 31, 2015 calculation the governing net restricted payments basket was negative and as of that date we were no longer able to declare and make dividend payments until such time as the restricted payments baskets once again become positive. For further information, please see the senior note indentures which are available on SEDAR and EDGAR. Because of the nature of our business, we are required to make judgments and estimates in preparing our Consolidated Interim Financial Statements that could materially affect the amounts recognized. Our judgments and estimates are based on our past experiences and assumptions we believe are reasonable in the circumstances. The critical judgments and estimates used in preparing the Interim Financial Statements are described in our 2017 Annual Report and there have been no material changes to our critical accounting judgments and estimates during the three and six-month periods ended June 30, 2018 except for those impacted by the adoption of new accounting standards. We believe that adjusted EBITDA (earnings before income taxes, loss on repurchase and redemption of unsecured senior notes, finance charges, foreign exchange, and depreciation and amortization), as reported in the Interim Consolidated Statement of Loss, is a useful measure, because it gives an indication of the results from our principal business activities prior to consideration of how our activities are financed and the impact of foreign exchange, taxation and depreciation and amortization charges. Covenant EBITDA, as defined in our senior credit facility agreement, is used in determining the Corporation’s compliance with its covenants. Covenant EBITDA differs from Adjusted EBITDA by the exclusion of bad debt expense, restructuring costs and certain foreign exchange amounts. the average number of term contracts in place for 2018. Precision Drilling Corporation has scheduled a conference call and webcast to begin promptly at 12:00 noon MT (2:00 p.m. ET) on Thursday, July 26, 2018. A live webcast of the conference call will be accessible on Precision’s website at www.precisiondrilling.com by selecting “Investor Relations”, then “Webcasts & Presentations”. Shortly after the live webcast, an archived version will be available for approximately 60 days. An archived recording of the conference call will be available approximately one hour after the completion of the call until July 31, 2018 by dialing 1-855-859-2056 or 404-537-3406, pass code 1184468.